Submarine is a brilliant movie about growing up that really tries to put you into the mindset of an adolescent, thereby showing how our culture tries to shape you into something you don’t want to be. 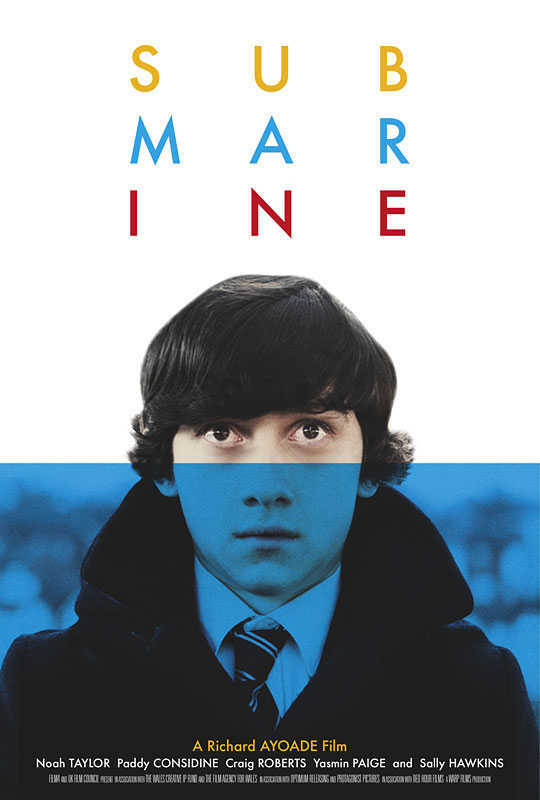 Oliver Tate (Craig Roberts) is a 15-year-old boy who struggles with love and the unhappy marriage of his parents. The movie follows his point of view and director Richard Ayoade uses every trick in the book to make the movie interesting and also to show how Oliver’s mind works. The directorial style is what really makes the movie work because the tricks rarely feel like showing off, but are effective and clever, always leaving you waiting what will come next. The acting is great, especially in the main role, the songs by Alex Turner fit perfectly and even the production design adds to make the movie special, mainly by using a somewhat obvious, but still successful color scheme of reds and blues. All Good Things is a fascinating movie that maybe doesn’t completely satisfy in the end, but is still able to hold the audience’s attention all the way through. It’s the story of David Marks and Katherine McCarthy (or the real-life story of Robert Durst and Katherine McCormack on whom the movie is based) and it’s clear why director Andrew Jarecki was intrigued by this story. Its biggest problem is that the movie can’t provide a satisfying conclusion because it has to stay true to the facts and the facts don’t provide an answer either. But this doesn’t lessen the movie’s power, which is mostly due to the strong performances. Ryan Gosling is as good as always, but the real surprise is Kirsten Dunst. She surely was never a bad actress, but she shines so brightly in this movie that when her character disappears, the movie loses a lot of its appeal. Still, the direction is strong and the score keeps you entertained for the last 30 minutes where the doomed romance turns into an unsolved crime mystery. This is part 2, continued from part 1. We stopped after the movie jumped ahead in time for 30 years. What happens then is astounding and simple. The movie just moves on and follows old Joe as he travels back 30 years to his past, where we then follow him as he follows young Joe doing all the things we saw already. So while structurally the movie shows us the same events from a different perspective, narratively it just keeps on moving along, without any actual jumps anymore. It does leave out some crucial information, though, but we don’t know that yet. What we feel is sympathy for old Joe as he tries to save his newfound happiness with his wife (Xu Qing). It’s a relatable motivation up till this point and it’s important to see that the movie takes us there, so we later have to ask ourselves how far we are willing to go along with this character. We get some fun moments where old Joe doesn’t understand young Joe’s actions, which is a clever way of showing how we distance ourselves from who we were the more we grow older. 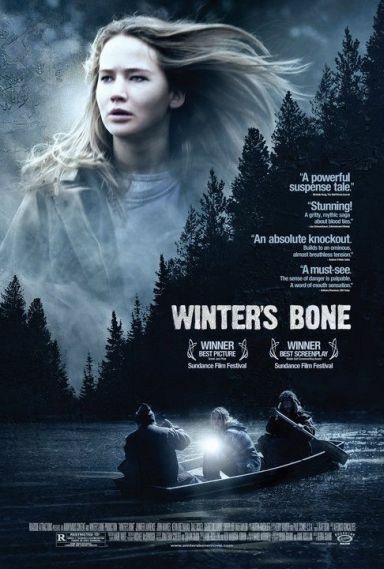 Winter’s Bone is a good and solid movie. It states early on what it wants to do and then follows that plan until the very end. There is a certain suspense to the question if Ree (Jennifer Lawrence) can find her father, so that she won’t lose her house but the movie is not the most exciting one, which is not necessarily a bad thing. It lives through its characters, the performances and its setting. Jennifer Lawrence is as excellent as expected but John Hawkes also does a great job in playing her uncle as an unpredictable man who doesn’t make it easy for us to like him. The scene in the boat is chilling and unexpected. I’m not sure if the movie is really great but Lawrence is so good and the center of the movie that she almost makes you forget everything else. 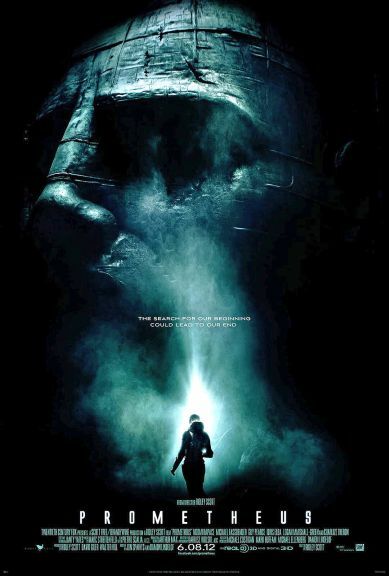 Prometheus seems to be one of the most discussed movies of the last couple of years. You find an endless amount of posts about its general meaning, the ending, individual scenes or just lines. I find it fascinating that a movie can have such a strong reaction that is not simply love or hate but thought. People think about this movie to figure it out and even people who don’t like it mostly do because of unanswered questions that bother them. How often does a movie get that kind of feedback, especially one that cost more than $100 million? It is a rare example of a movie full of ideas (even if the execution is not perfect). 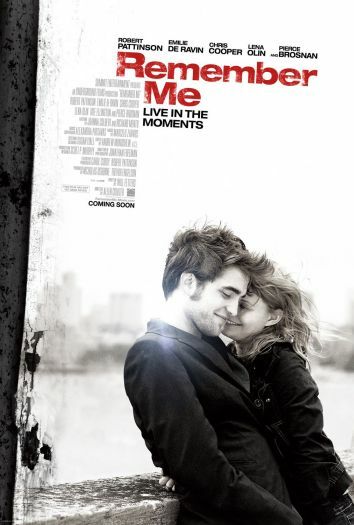 Remember Me is a movie I did not expect to like based on my assumptions. But it surprised me even if there were many things I didn’t actually like. What’s great in the movie are the performances (especially Robert Pattinson, Emilie de Ravin, Ruby Jerin and most of all Pierce Brosnan), the characters and their relationships and… well, that’s it. The problem is that the plot is too constructed, one character is annoying as hell (Tate Ellington as the roommate Aidan) and the first and last ten minutes feel very contrived and unnecessary.